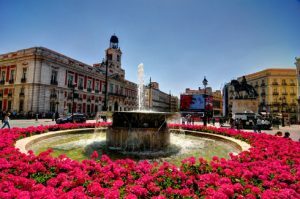 This public square is the true centre of Madrid, the ‘kilometre zero’. Together with restaurants, shops, fountains, statues and a lot of people. 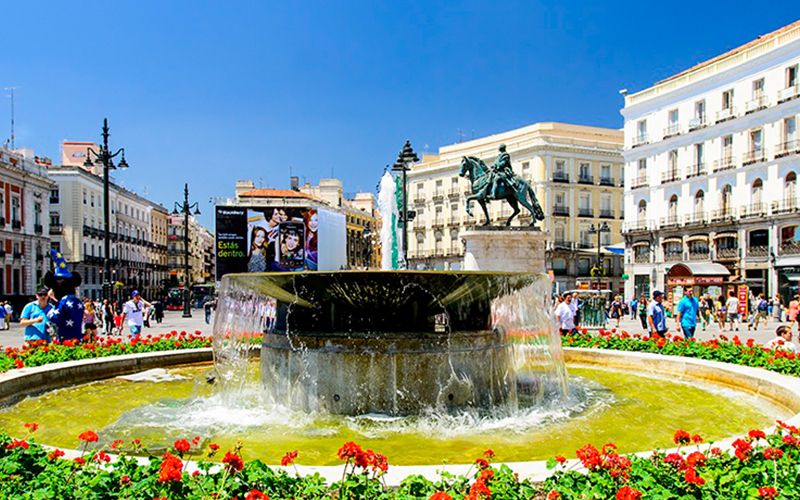 This crowded place is the best to taste Madrid’s life, because a lot of bars and nightclubs are situated in Sol and every day you find different street performers. If you don’t know where to go on New Years Eve, celebrate midnight with eating twelve grapes with all the Spanish people, which is a tradition. The largest royal palace in Western Europa with a total of 3.000 rooms, only some of which are open to the public. 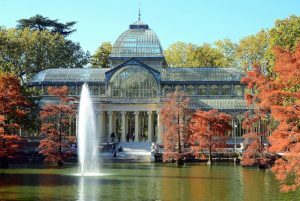 Unfortunately, the Royal Family doesn’t live in the palace, but on the outskirts of Madrid. So the palace is only used for state ceremonies. If you aren’t interested in touring the inside of the palace, walk around and rest your feet in one of the two on-site Sabatini Gardens. And important: if you want to beat the crowds, make sure to get there early! It’s worth it! 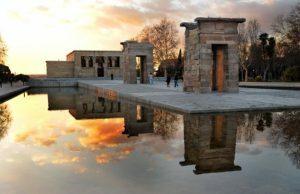 An ancient Egyptian temple, dating back to the 2nd century BC, which was dismantled and rebuilt back in Madrid, in Parque del Oeste near the Royal Palace. The park includes a cable car and a rose garden and is open 24 hours a day. For a chill day, this is the place to be #innsider. Right outside Plaza Mayor you’ll find this covered market with not only food! It has all the authentic Spanish snacks you love spread over 33 stalls. 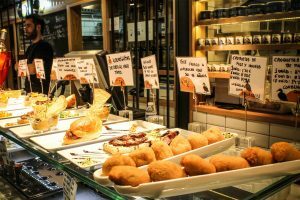 Such as homemade sangria, ready-to-eat tapas and fresh seafood to eat straight ahead OR you can pick up the ingredients you want for a later dinner. Moreover this market has exhibitions, music, a gastronomic library, a florist’s shop and a design shop. Bring some cash; because you can’t pay by card everywhere. Come and enjoy this cool atmosphere with other #innsiders!!! This is one of Spain’s most popular flea markets, dating back to the 15th century. The streets are lined with hundreds of merchants selling everything from kitschy souvenirs to antiques, to leather hand-stitched bags, second-hand clothing and jewelry. The live music gives the market a cool atmosphere, makes you want to go here! The best things in life are sweet, so this is the place to go! 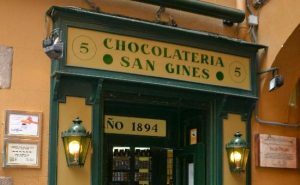 This café serves the BEST hot chocolate and churros since 1894. So which must-see are you going to visit first #innsider? Welcome INN Madrid. The place you’ll never forget..